21 years ago today, on Wednesday, May 16, 1990, Jim Henson and Sammy Davis Jr. both died. It was a memorable but sad day as these two talented men, who brought joy to the world, were suddenly gone. Sammy Davis Jr. died in Beverly Hills at age 64. The cause of death was complications from throat cancer. Muppet master Jim Henson was just 53 when he died in New York City from a Group A streptococcal bacteria. 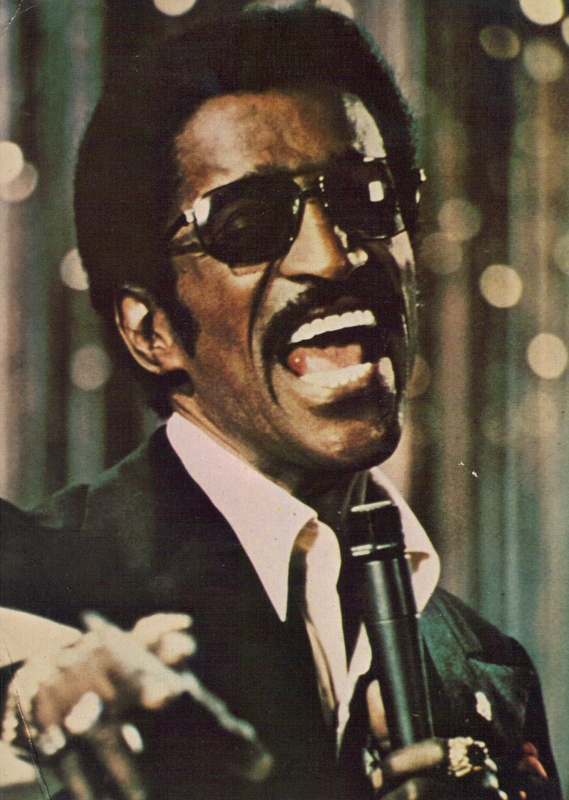 Sammy Davis Jr. was one of the most complete performers who ever took the stage. Davis could sing, dance, act, make you laugh, and play musical instruments. He began his career as a young child in a song and dance team alongside his father (Sammy Davis Sr. of course) and Will Mastin. As The Will Mastin Trio they toured the country for decades before Davis Jr. became a break out star. Photo of Sammy Davis Jr. also sent to members of his International Fan Club. 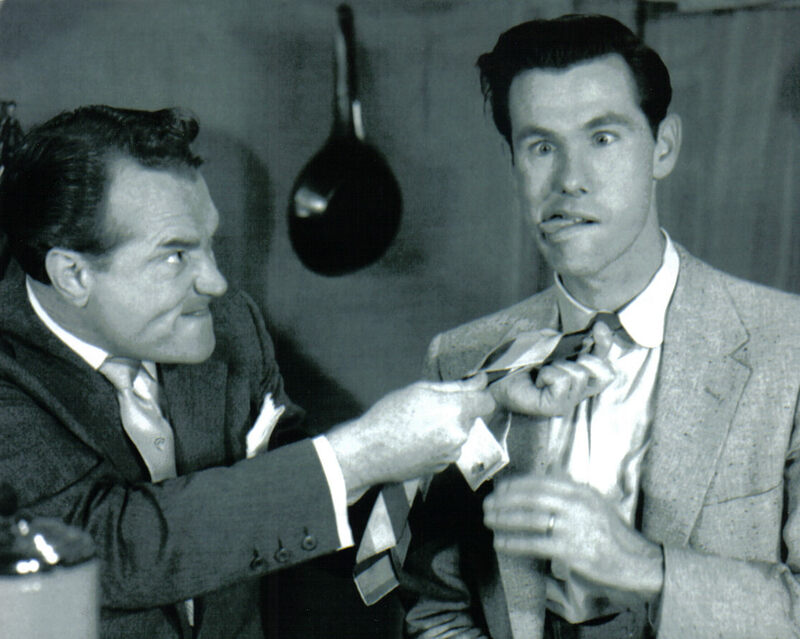 In addition to numerous guest appearances on TV, Sammy had two series of his own. “The Sammy Davis Jr. Show” ran from January 1966 through April of that same year. I believe I attended one of the last episodes of this series, which was taped at the NBC studio in Brooklyn. I never knew it was a series. I thought it was a TV special. What would I know? I was 5 years old. What I do know, and do remember, is that I sat in the audience of a show starring Sammy Davis Jr. and guest Art Carney, which was taped in that studio. According to IMDb, Carney was a guest on the April 15, 1966 episode of this series. 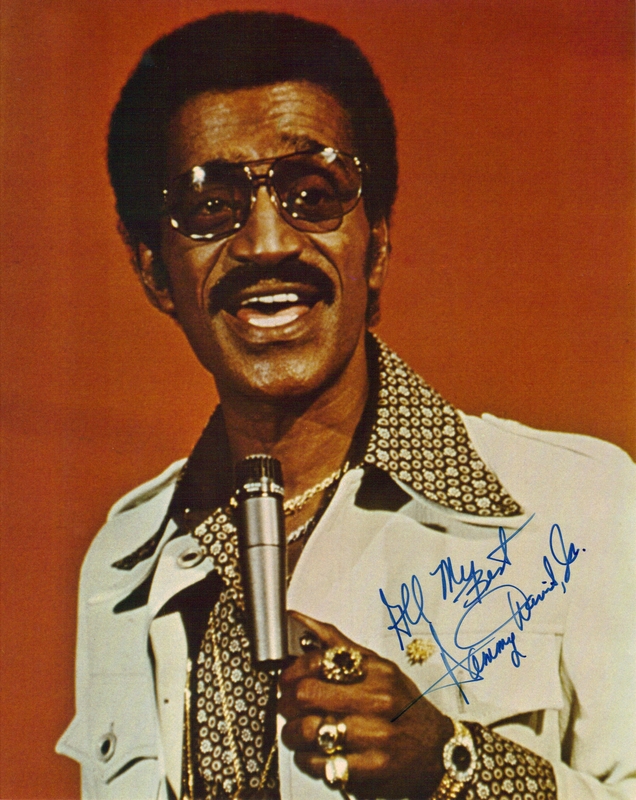 Autographed 8x10 photo of Sammy Davis Jr. sent to members of The Sammy Davis Jr. International Fan Club in the 1970s. 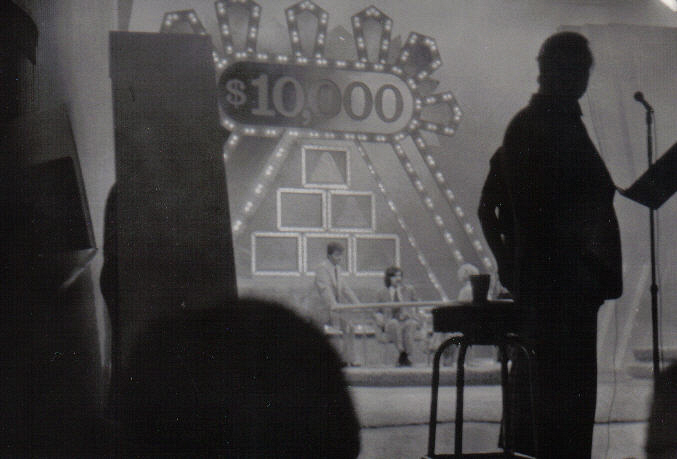 Sammy’s other well-known foray into series television was the syndicated “Sammy & Company.” This 90-minute talk/variety show featured guest appearances and performances from many of Sammy’s show biz friends. The series, with radio’s William B. Williams as the announcer, was produced for 2 years, 1975-1977. Jim Henson was just 17 years old when he first performed with puppets on local television. The following year, in 1955, he got his own show on Washington, DC’s WRC, “Sam and Friends.” Though the show was only five minutes long it introduced Jim Henson’s muppets to TV audiences… And among those muppets was an early version of Kermit the Frog (though he was not yet a frog). “Sam and Friends” ran for more than 5 years. During that time Henson’s creations started making TV commercials and appearances on national TV shows. In 1969 he brought his muppets to the new PBS children’s series “Sesame Street” where they are still going strong 21 years after Henson’s death. Many will forget that Jim Henson created a group of alien muppets that appeared each week during the premiere season of “Saturday Night Live.” One year later “The Muppet Show” began a very successful run in syndication that lasted 5 seasons. 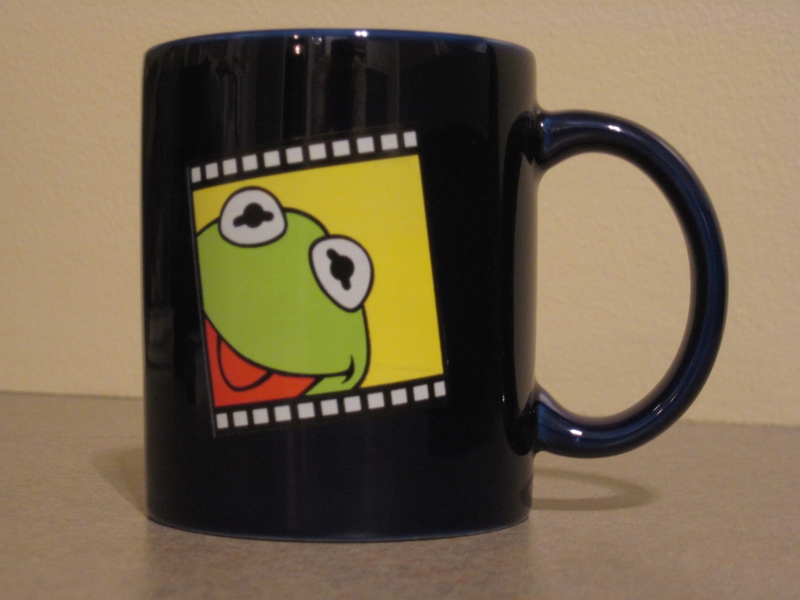 Kermit the Frog was even a guest-host on “The Tonight Show Starring Johnny Carson” in 1979. Jim Henson and his family of muppets may have touched your life when you were a child, maybe not until you were an adult… but Jim Henson has left his imprint in our lives. How sad that two profoundly talented men were taken from us on the same day, but the world is a richer place because they were here. 60 years ago, on Monday, May 7, 1951, actor Robert Hegyes was born in Perth Amboy, New Jersey… and like another 1970s sitcom actor, Hegyes is half-Hungarian. Freddie Prinze called himself a Hunga-Rican. Perhaps we can call Robert Hegyes a Hungi-Talian. 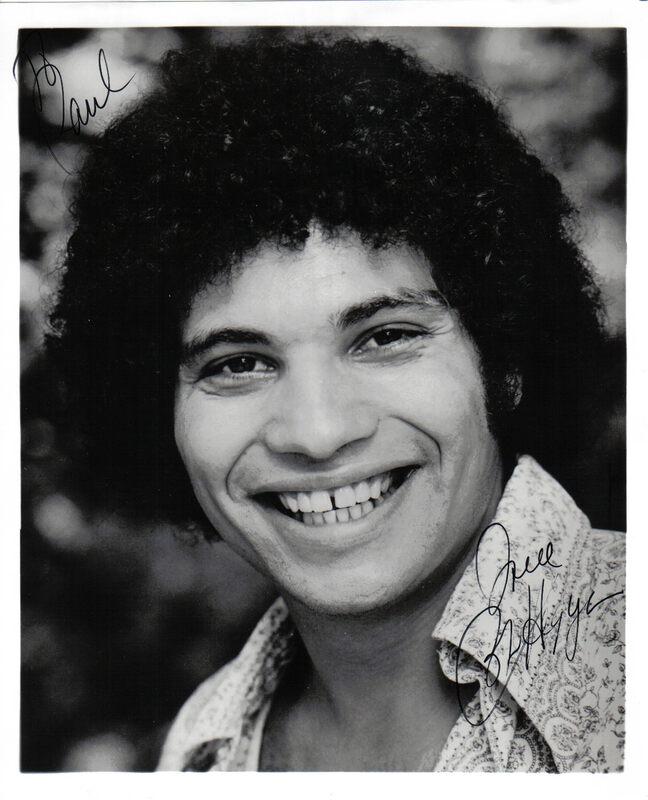 Robert Hegyes 8x10 sent in response to a fan letter in the 1970s. Juan Epstein, of course, was one of the “sweathogs” (remedial high school students) on the sitcom, who were taught by Mr. Kotter, himself a former “sweathog.” During the time “Welcome Back, Kotter” was a hit show, I was attending a real high school in Brooklyn. Believe me, “Welcome Back, Kotter” was the talk of the school the day after every episode. 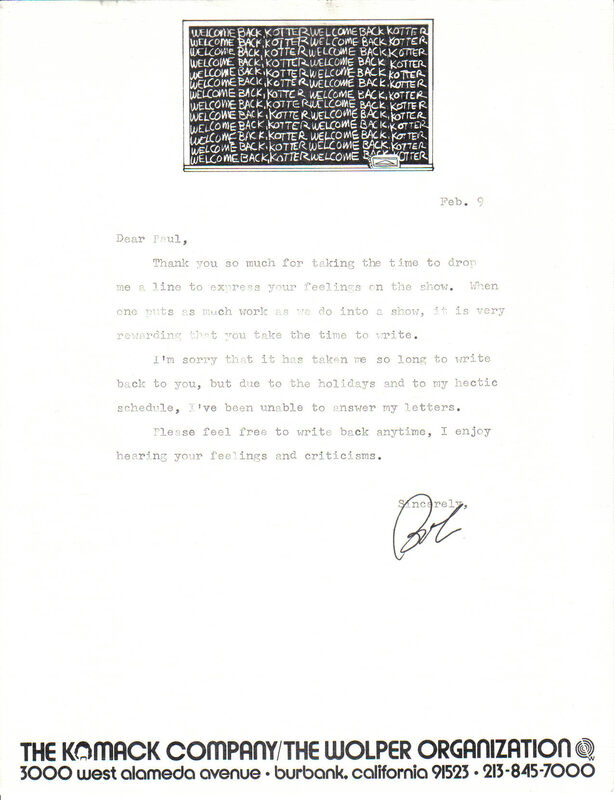 When I wrote to Robert Hegyes at the time I was surprised to get the letter, shown below, in return. Most often I would receive a form letter. This one actually appears to be typed and looks less than perfect. For that reason I have always believed that this was a personal response, actually signed by Hegyes. That’s what makes it an even more appreciated and cherished part of my collection. Letter from Robert Hegyes written on “Welcome Back, Kotter” stationery. “Welcome Back, Kotter” premiered in September 1975 on ABC and ran for 4 seasons. Hegyes also directed a few episodes. After “Kotter” he appeared in episodes of shows such as, “Diagnosis Murder,” “The Drew Carey Show,” and “NewsRadio.” In the 1980s he had a recurring role as Detective Manny Esposito in the police drama, “Cagney & Lacey”. Just last month Robert Hegyes joined most of his “Welcome Back, Kotter” colleagues for a reunion at the TV Land Awards. Happy 60th Birthday Bobby, I wish you all the best. Thanks for making going to high school in Brooklyn in the 70s kinda cool! Flanked by FOX Chairman Barry Diller and FOX President Jamie Kellner, Rivers was introduced as the first “face” of FOX. But she had not yet broken the news to her current employer… and the fallout from that move is legendary. First, a little background: Before Jay Leno became host of “The Tonight Show” (the first time) he had been Johnny Carson’s permanent guest host on the show. But before Johnny had Jay, Johnny had Joan. Joan Rivers was the first permanent guest host in the history of Johnny Carson’s “Tonight Show.” Prior to that, dozens of stars had filled in for the “King of Late Night” over the years – some more often than others (Joey Bishop and David Brenner to name two). When Carson heard the news that Joan Rivers was leaving to compete against him, it seems he took it personally. He apparently felt Rivers should have told him before the announcement was made. When Joan called Johnny afterwards, she claims he refused to take the call. The two never spoke again. So… did they live happily ever after? Not exactly. “The Late Show Starring Joan Rivers” premiered on FOX, Monday October 9, 1986 at 11:00pm, but as every competitor to Johnny Carson had learned, it wasn’t easy to beat the king. The ratings for “The Late Show Starring Joan Rivers” were never big and Joan Rivers only hosted the show for seven months. 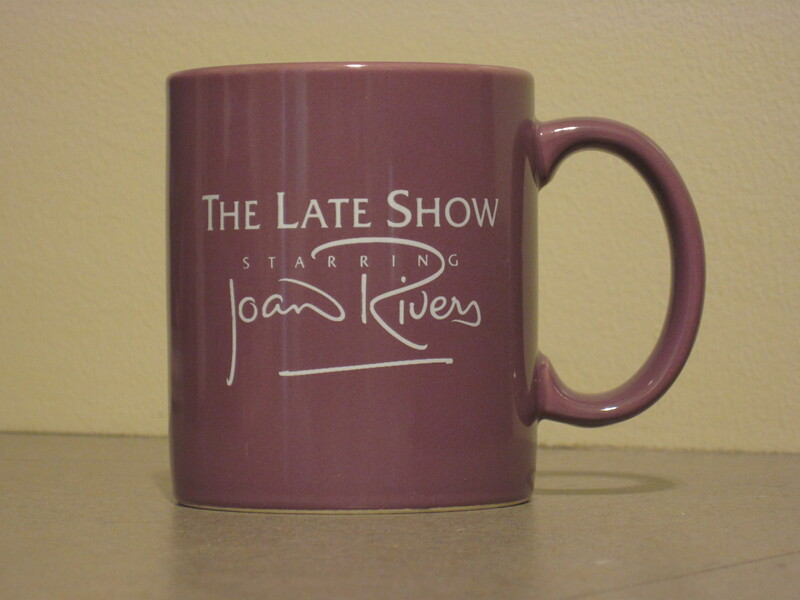 Her last “Late Show” was May 15, 1987. But much worse than the losing “The Late Show” was the loss of Rivers’ husband. Edgar Rosenberg had been an executive producer of “The Late Show Starring Joan Rivers.” Three months after Joan was fired by FOX Rosenberg committed suicide. He had been suffering from clinical depression. Joan went on to have a syndicated daytime talk show, “The Joan Rivers Show”… then hosted numerous red-carpet shows with her daughter Melissa Rivers for E! and the TV Guide Channel. Currently she hosts “Fashion Police” on E!… and can be seen selling her line of clothing, jewelry and accessories on QVC. TV viewers may also have recently watched mother and daughter in season one of their new reality show, “Joan & Melissa: Joan Knows Best?” on WE tv. Joan Rivers has also added several notable catchphrases to the American lexicon: “Can we talk?” (which I’m told is a Federal trademark) and her red-carpet question, “Who are you wearing?” which is now said by just about every red-carpet host everywhere. But on this date, 25 years ago, Joan Rivers was introduced as the FOX network’s first big star. Only she knows if she would do it all again if given the chance. Tags: Barry Diller, Can we talk?, David Brenner, Edgar Rosenberg, Fashion Police, FOX, Jamie Kellner, Jay Leno, Joan & Melissa, Joan Knows Best, Joan Rivers, Joey Bishop, Johnny Carson, Late Night, May 6, Melissa Rivers, NBC, permanent guest host, talk show, The Late Show, The Late Show Starring Joan Rivers, The Tonight Show, TV history, Who are you wearing? 89 years ago, on Thursday, April 27, 1922, Jacob “Jack” Klugman was born in Philadelphia. Although best known to TV audiences as Oscar Madison, the sloppy half of “The Odd Couple,” his other well-known series “Quincy, M.E.” actually ran for more seasons (7 to 5) and produced more episodes (148 to 114). Klugman began to act after serving in World War II. His early TV appearances include multiple episodes of famed series like “Inner Sanctum,” “Studio One,” and “Playhouse 90.” Jack Klugman was a working actor, but when he was cast in the TV version of “The Odd Couple” he became a star. While the show achieved some popularity during its run on ABC (1970-1975), it was in syndication that the show really caught fire. 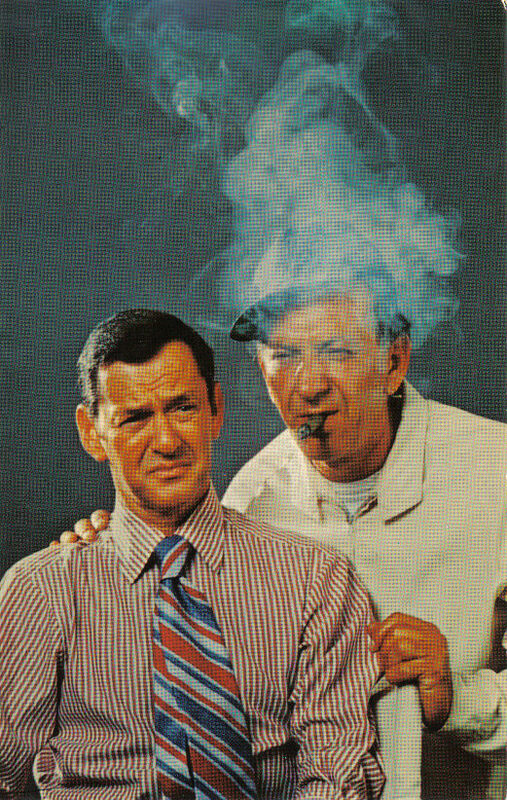 Postcard sent to fans of ABC’s “The Odd Couple” in the 1970s. In 1993 I interviewed Klugman and Tony Randall in Central Park while they were filming scenes for “The Odd Couple: Together Again” reunion movie. It was about three years after Klugman had surgery for throat cancer, and it left him with a slight and raspy voice. But I was a bit surprised when Klugman was actually apologetic for his inability to answer in full voice. He seemed to be a genuinely nice man. 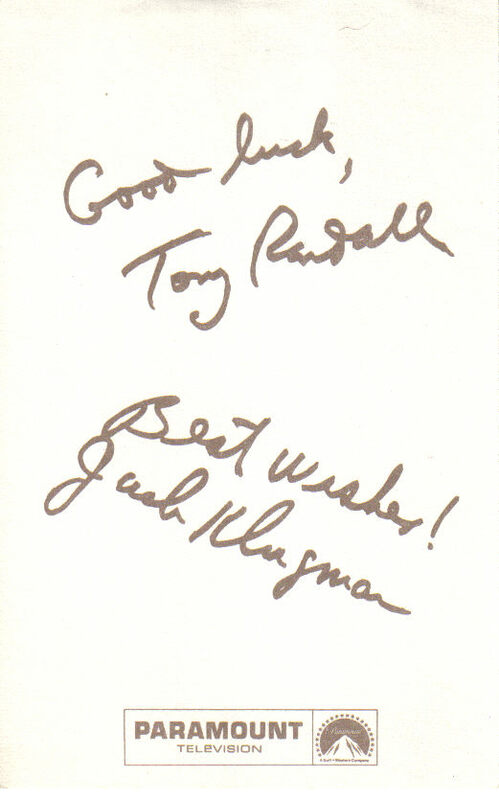 Reverse side of the same postcard with “autographs” from the stars. Of course, “The Odd Couple” was followed by “Quincy, M.E.” on NBC in which Klugman played Dr. R. Quincy, a medical examiner (or coroner) who had no first name. In the 1980s Klugman went back to sitcoms with NBC‘s “You Again?” co-starring John Stamos. It lasted just one season. Happy 89th Birthday Jack. You’re an American treasure. Tags: ABC, April 27, birthday, Jack Klugman, John Stamos, NBC, Odd Couple, Oscar Madison, Quincy, Quincy M.E., Tony Randall, TV history, You Again? 78 years ago, on Wednesday, April 26, 1933, Carol Burnett was born in San Antonio, Texas. As the child of two alcoholics, Burnett was raised by her grandmother who moved them to Hollywood. When she would tug on her ear at the end of “The Carol Burnett Show” it was her way of saying hello to that beloved grandmother. 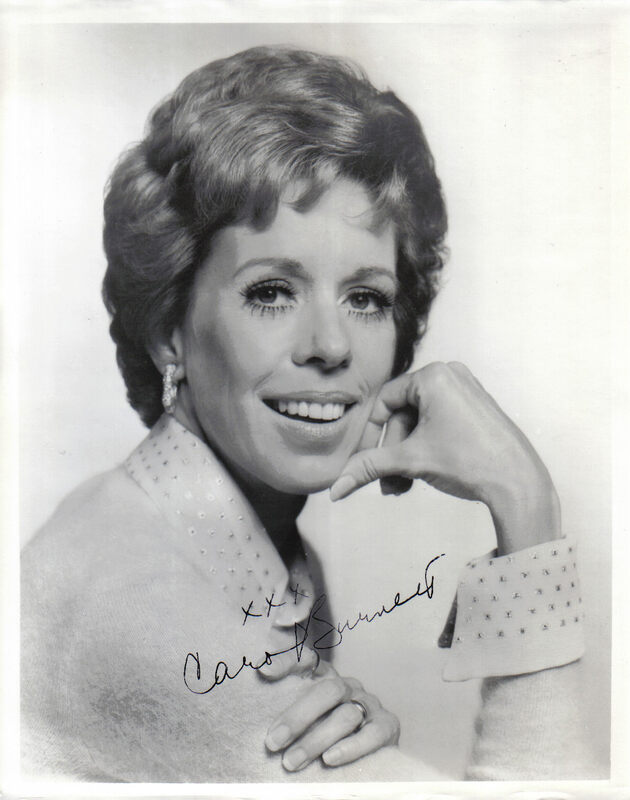 Pseudo-autographed 8x10 photo sent to fans of “The Carol Burnett Show"
Carol Burnett herself has won three Emmys. “The Carol Burnett Show” also won three Emmys for Outstanding Comedy, Variety or Music Series. In 1985 Burnett was inducted into the Academy of Television Arts & Sciences Hall of Fame, and in November 2005 she was awarded the Presidential Medal of Freedom by President George W. Bush. 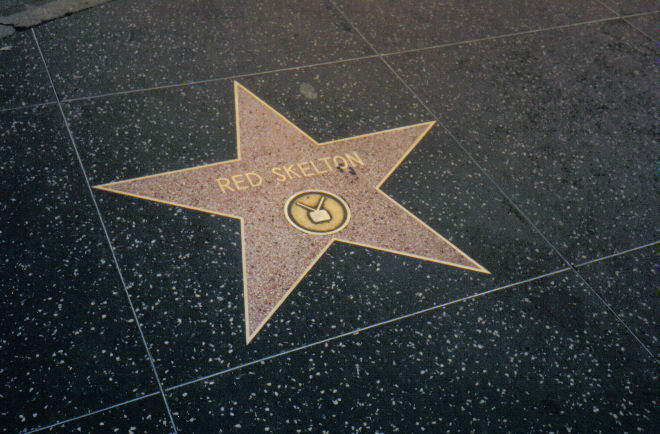 Carol Burnett also received a Peabody Award in 1962. Recently she has been touring the country with her “Laughter and Reflection” stage show, which is similar to the opening of her old TV show. Burnett simply answers questions from the audience and talks about her life. While I titled this post “…THIS TIME TOGETHER” I was obviously playing off Carol Burnett’s famous closing song from her show. What I did not know is that Ms. Burnett has an autobiography, also entitled This Time Together: Laughter and Reflection (now out in paperback). Great minds think alike. Happy 78th Birthday Carol (as I tug on my ear).